Christians have the seven deadly sins. Buddhists have the negative emanations of the mind. These are all the dark parts of ourselves that we would like to keep secret, be it anger, selfishness, jealousy, insecurity, violence, shame, or other dark elements to which we are prone. How do we make peace with those parts of ourselves that we sometimes consider unworthy or unlovable or undeserving? We start by looking closely at ourselves, especially our flaws. We acknowledge them. We accept them. And we work at transforming them. We start by examining and owning our actions, especially those that have had less than desirable outcomes. We start by seeing those parts of ourselves as worthy, lovable, and deserving. We aim for wholeness by integrating the dark and the light in and around us. Some call the dark side of ourselves "evil." I call it humanity. Yes, people do terrible things to each other; sometimes they do these things because of their beliefs, and sometimes they're done in the name of their religion (think Crusades; think jihad). Does this make us evil? No. It makes us human because we chose to act on those dark aspects. Yet, seemingly evil things somehow transform in ways unexpected, and we discover the silver lining. Spirit calls us to take the path of inner truth. This means taking responsibility for everything that is in us -- the good, the bad, and the ugly. 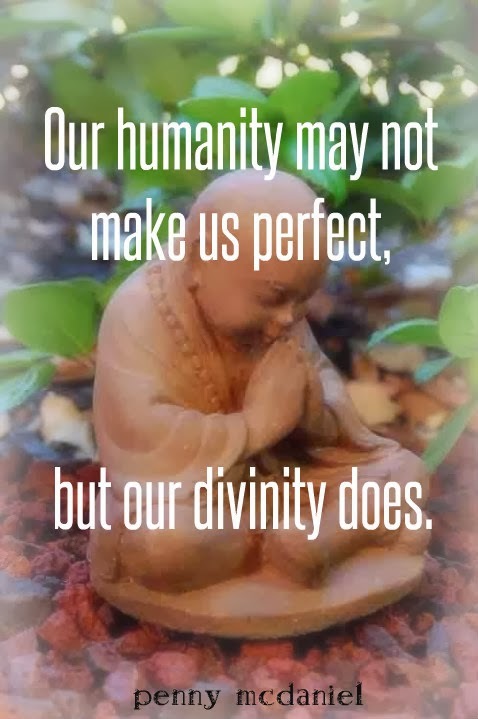 When we accept and own our imperfections and our gifts, we embrace our full humanity in all of its complexity. It's part of the package. Spirituality is not for wusses. It takes courage. It takes bravery. It takes perseverance, integrity, and guts. Jesus was known to hang around characters considered unsavory by society's standards. He knew people in low places: prostitutes, thieves, tax collectors and the like. Prior to his arrival on the historical scene, ancient Levitical law decreed that people with physical deformities were unfit to enter the Temple; they were seen as unclean in spirit. To compound the issue, the Old Testament God was portrayed as so strict and so pure that he could not look at evil, nor tolerate it. The entire religious system was based on teaching people how to purify themselves in order to enter into God's presence. Unless you were a priest, you had no chance. But Jesus shook things up when he arrived. People were still considered impure because of their deeds (or misdeeds), their diet (pork was a no-no), their race (think Gentiles), and their gender (women and menstruation). He saw past their imposed imperfections; he recognized the divine in each one of them. And he loved them anyway, no matter what the religious hierarchy said. He loved unconditionally and he treated the lowly as equals. He called them his brothers and sisters. Not only did he accept these "impure" individuals, he radiated so much love for them that they flocked to him because he made them feel good about themselves. He held them accountable and transformed them through his love, and they changed because of their love for him. From this day forward, take responsibility for how you perceive yourself and others. Focus on the divine essence within you and begin to recognize it in everyone else. When I spent time in Nepal, people always greeted me with "Namaste," accompanied by a slight bow with hands pressed together, palms touching with fingers pointed upward in front of the chest, or heart chakra. The greeting, from Sanskrit, means "I bow to you." It is a gesture that represents the belief that there is a divine spark within each of us. As we bow, we bow to the divine in each other. I grew up with a similar greeting. My mother, a native of Germany, would always say, "Grüß Gott" to others, meaning, "Greet God," or, I greet God in you. Roll the "r" when you say it. The umlaut over the "u" makes for a long "u", and that funny looking symbol that looks like a B is really a double "s." "Gott" is pronounced "gawt," not "got." Make it a point to see the divine in yourself and in others. Offer the greeting, "Namaste," or "Grüß Gott" and make note of what happens as a result. Spirit will be everywhere, inside and out. And you'll see everyone and everything in whole new light. 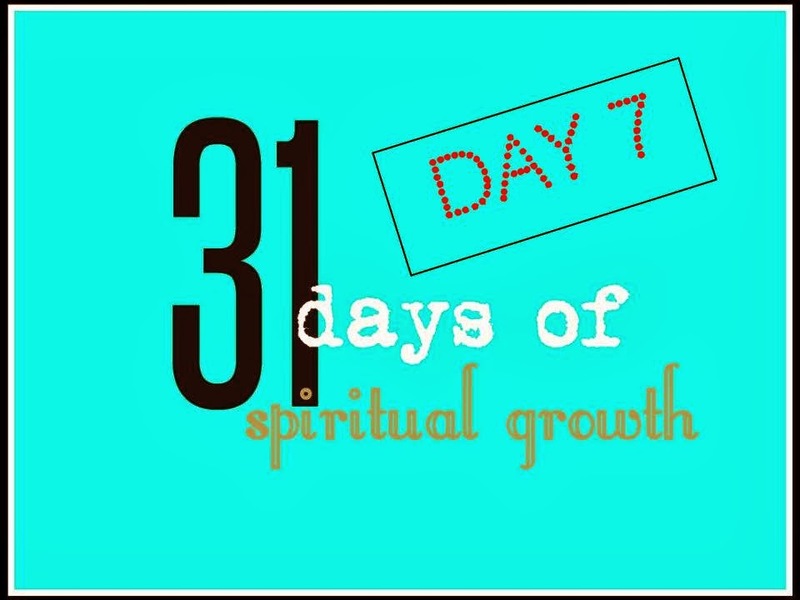 Read the introduction to 31 Days of Spiritual Growth. In it, you will find links to each post in this series. Another very good post, Penny! Taking full responsibility was something I was taught at a very young age. Some times, believe or not, even with all of my loving and best intentions, I got myself into situations that were not the best, but even in those times, I took full responsibility, come what may. It is really the only way to live. You really packed a lot into one blog post. Recognizing the God in all of us, our humanness, how Jesus accepted all and showed that unconditional love can get people to change. Great wisdom flows from you. True, sometimes my best intentions got me into some sticky situations, but they always worked out as soon as I recognized my responsibility. Funny how that happens...LOL. Thank you so much for stopping by and sharing your insights as always. It's so true Penny that Spirituality is not for wimps. We have to probe deep in order to discover the higher truth of our "being." When we are holding a vibration of anything but love we are still locked in a state of ignorance. This is not a "bad" thing, it's just a level of consciousness that we have to liberate ourselves from. Jesus the Christ was aware of this and even demonstrated this when he forgave the people for nailing him to the cross when he said ""Father, forgive them, for they do not know what they are doing." - Luke 23:34. He literally "meant" that because he knew that they were still in the vibration of ignorance and not love. When we choose to take "responsibility" for our own life instead of blaming outside forces for doing something to us that is the moment when we are "liberated" from victim consciousness and RISE out of ignorance. Like you said, "it takes courage. It takes bravery. It takes perseverance, integrity, and guts to walk the spiritual path along with a lot of hard work and self-reflection. Wow, Gena, thank you for your response. I like how you put it when you said, "When we are holding a vibration of anything but love we are still locked in as state of ignorance," which is not bad or evil; it's just a level of consciousness that holds us back from being our authentic selves. And talk about Jesus's ability to forgive because he knew his executioners were operating from a level of ignorance...that is powerful beyond words. What an example he displayed. Thank you again for stopping by and sharing your thoughts! They inspire me so much! We are certainly works-in-progress, but the beauty is that we can make modifications along the way to let our authentic selves shine. Keep up the good work! I especially loved this sentence. "Spirituality is not for wusses. It takes courage. It takes bravery. It takes perseverance, integrity, and guts." Some people think it is all hearts and flowers and do not take seriously the depth of the experiences involved. It is beautiful work though. I think Jesus really got that trying to harm others really harms you in the end. So, in my mind, I add an extra ending to the verse. "Forgive them Father for they know not what they do... (To themselves when they seek to hurt another.)" It is easy to forgive and have compassion when you clearly see that the only harm done is to the self. This post, Gena's and your comments give us much to think about. True, spirituality is not for the feint of heart. People mistakenly perceive it to be a pollyanna approach to life, which couldn't be further from the truth! It involves a lot of personal mining. I love your addition "to themselves when they seek to hurt another" to the end of "they know not what they do." That is powerful and gives much food for thought when it comes to forgiveness and compassion. I am just being blown away by this! Wow! Thank you! Blessings and lotsa love to you Dina! Beautiful thought Penny and so true! One should take responsibility of one's actions only then can they aim at transformation! Hi Aditi! So happy to hear from you! Transformation is so important on the spiritual path, but like you said, it starts with taking responsibility. Thanks so much for dropping in and sharing. I love hearing from you. I'll be playing catch up...thank you for the 31 days of spiritual learning and growth! I will be looking forward to hearing more from you.